In 1982, I watched an interview with an archeologist who claimed that with acoustic research we would soon be able to listen to sounds captured within ancient pottery. He speculated that jugs and vases being formed on pottery wheels acted like Edison cylinders and inadvertently absorbed sounds in the immediate vicinity. 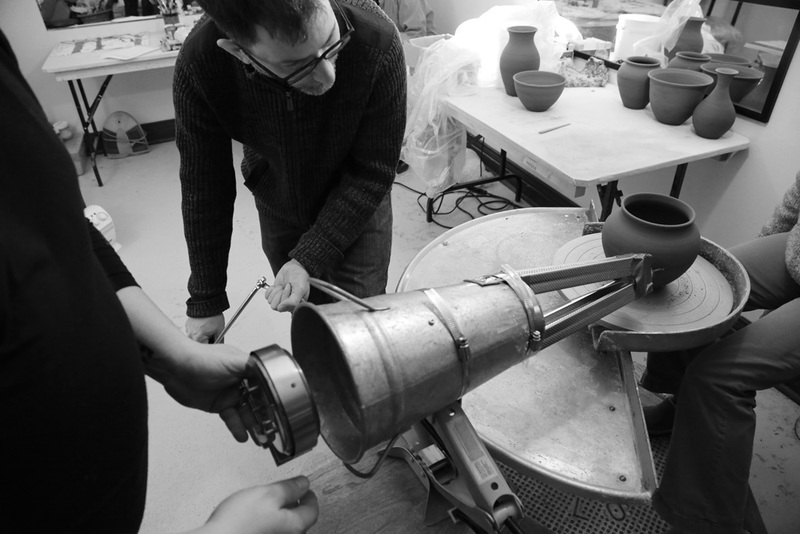 His theory has now been disproven, but the notion of soft clay acting as a viable recording surface has stayed with me and with knowledge gained working with phonographs, I created ceramic objects in which sound is an inherent part of their form. From February 2013 to October 2014 I undertaken live recording sessions in the pottery studio of Carolynn Pynn-Trudeau. Using a megaphone and stylus apparatus, similar to the one used by Edison, sound was scribed into the sides of leather-hard vases. 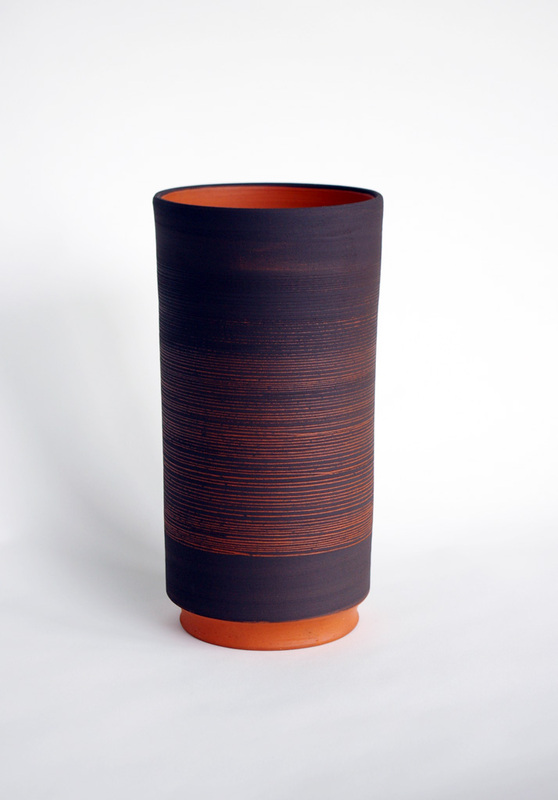 The resulting vases are mute, but one need only consider Vase with Sound of Child’s Voice to have the sound evoked from one’s own memory and transposed upon the object. Of course, the sound is there and sometime far in the future when our digital record is so much ether, then an archeologist may well be able to listen to these vases. At times, the shape of a vessel has a coincidental recording. For example, a vase was etched with the sound of water pouring, an urn was etched with a recitation of Keats’ Ode on a Grecian Urn, and a wine decanter was etched with a Hebrew wine blessing. 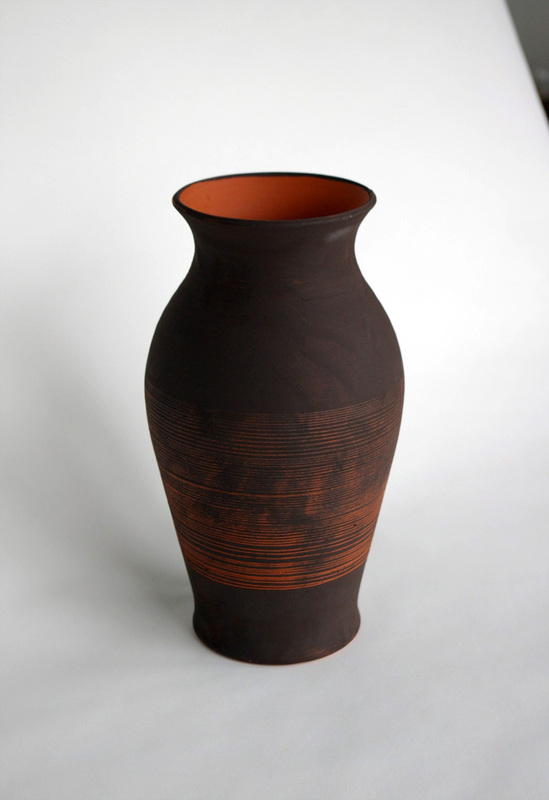 When fired and finished, the red and black earthenware pieces resemble ancient Greek pottery. 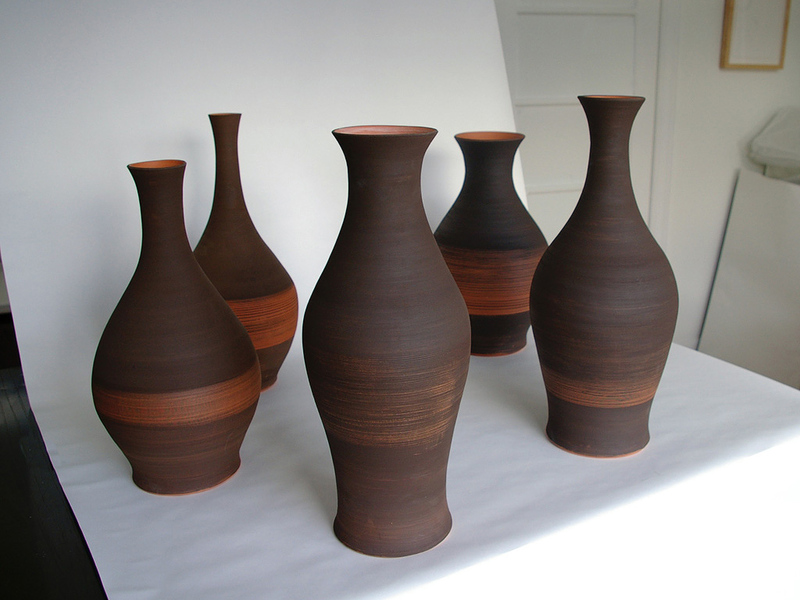 The vases increased in size and physical bearing with each successive recording session. Vase with Sound of Alarm Clock Ringing being created in Carolynn’s studio.